Many homeowners clean their carpets themselves with the use of vacuums and cleaning agents bought from the store. However, if you want your carpet looking its best or you want to get rid of tough stains and strange odours, then you should hire a carpet cleaning professional. That being said, sometimes it is difficult to tell when it is time to call in the professionals. Your carpet might look good from the outside, but you don’t know how much dirt it has accumulated beneath the surface. And leaving your carpet to go uncleaned will make it dirtier and create more damage over time. When Do You Need Professional Carpet Cleaning? 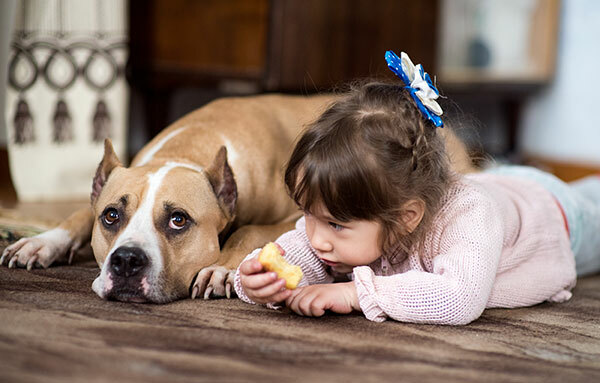 Kids and pets make it difficult to maintain the cleanliness of your home. They can be notorious for tracking dirt all through your home and creating all sorts of spills and stains. Mud and food stains, in particular, can be difficult to remove and that’s why you should consider contacting a professional carpet cleaning service. Even buying the strongest vacuum can’t help you get rid of persistent stains that seem to reappear minutes after you thought you were rid of them. If you or someone else in your household is prone to allergies and have noticed symptoms such as sneezing, wheezing, runny noses or watery eyes, more than usual, then it may be time to have the carpets professionally cleaned. Pollen, pet hair, dust mites, and other allergens accumulate in the carpet. They can reduce the air quality of your home that will lead to allergic reactions. Allergens are harmful to your family’s health. You should deal with a dirty carpet promptly if you suspect it is hoarding allergens. If you have an old carpet and you can see dust when people walk on it, it is also a clear indicator that you need deep carpet cleaning. Black lines near the edges of the carpet are indicators that dirt has accumulated beneath the gaps in the walls, doorways, and other parts of the perimeter of the room. You might also notice matted fibres where black lines started to show up. You definitely need the help of a carpet and rug cleaning professional if you notice an unpleasant odour. You should address it as soon as possible because it can lead to the formation of mildew, mould, or other serious problems. You can benefit from professional help to clean the carpet if you are thinking of selling your house. A carpet that looks good and clean can attract and appeal to more potential buyers. Once you have cleaned your carpet, the next step is to regularly maintain it. You can do this by vacuuming and cleaning stains as soon as they occur. You should also hire a professional carpet cleaning company every few months or so. Proper maintenance will make your carpet last longer and look good as new. Contact the experts, Sun Dry, for all of your carpet cleaning and pest control Brisbane needs. Get in touch today for a free quote.